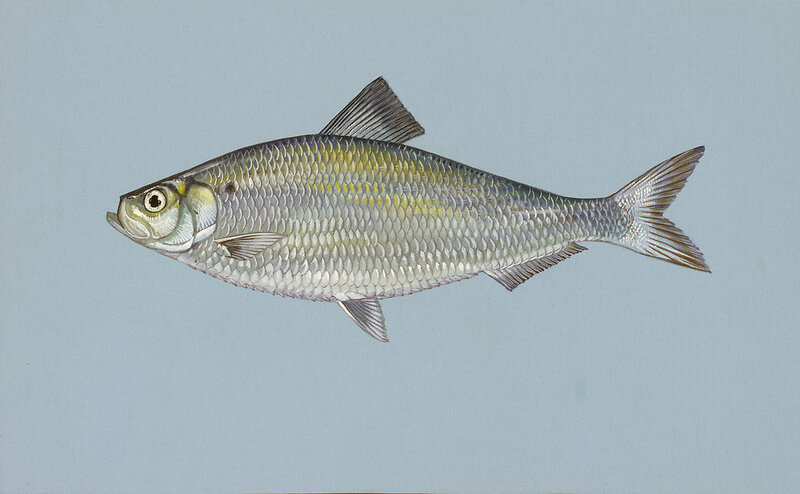 Description: Illustration of an alewife herring fish. Scans of artwork commissioned by the Fish and Wildlife Service in the 1970's. Original art is kept at DC Booth Fish Hatchery in Spearfish, SD.